HURRICANE — An unlicensed driver who didn’t stop at a stop sign triggered a 3-vehicle crash on State Street in Hurricane Saturday afternoon, police said. 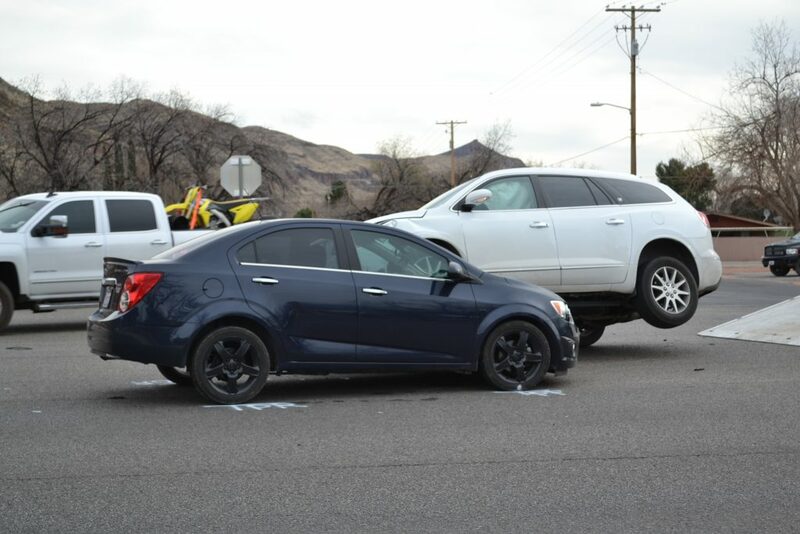 Hurricane Police Department responded to the crash just before 4 p.m. at the intersection of State Street and 100 East involving a maroon 2007 Mazda CX-7, a white 2016 Buick Enclave and a blue 2016 Chevrolet Sonic. 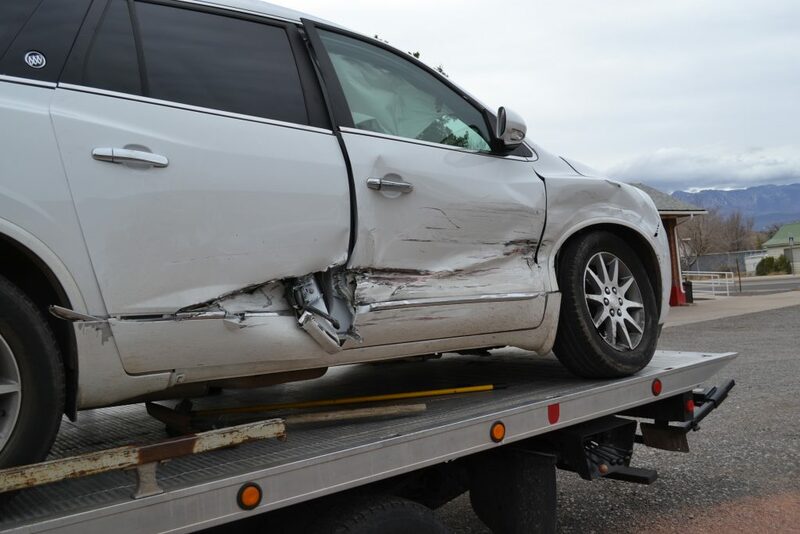 “The driver of the maroon Mazda, which was a 23-year-old female, failed to stop at the stop sign traveling northbound on 100 East in an attempt to make a left turn onto westbound SR-9,” Hurricane Police officer Jeff Adams said. As she proceeded into the intersection, she collided with the eastbound Buick, impacting the passenger side, Adams said. 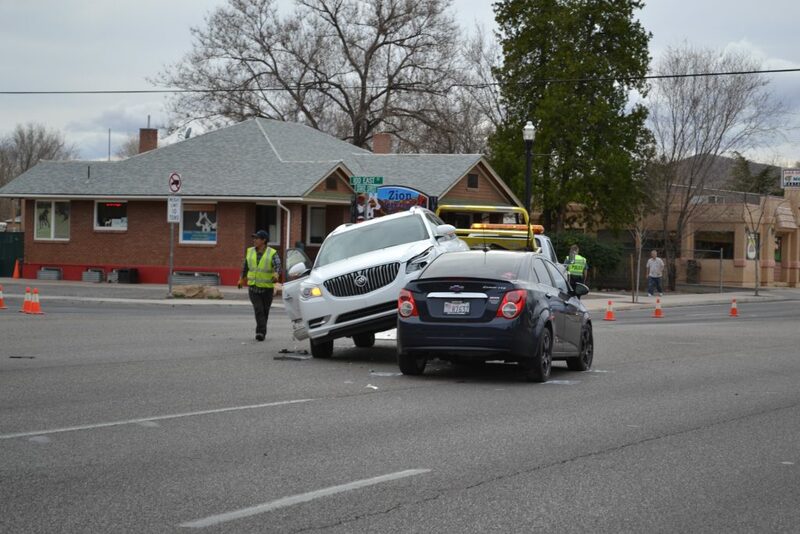 The impact sent the Buick into the Chevrolet as its driver was preparing to make a left turn to go south on 100 East. Medical personnel from Hurricane Valley Fire District arrived to provide medical treatment. Some minor injuries were reported, but no one was transported to the hospital. Everyone involved was wearing seat belts. Two citations were issued to the driver of the Mazda for failing to stop at a stop sign and never obtaining a license, Adams said. 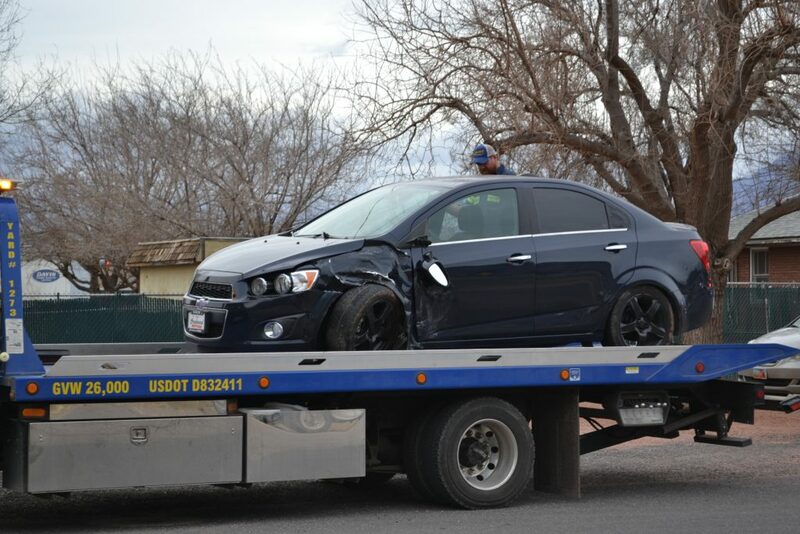 The 19-year-old driver of the Chevrolet was also cited for not having insurance on his vehicle at the time of the crash, Adams said. 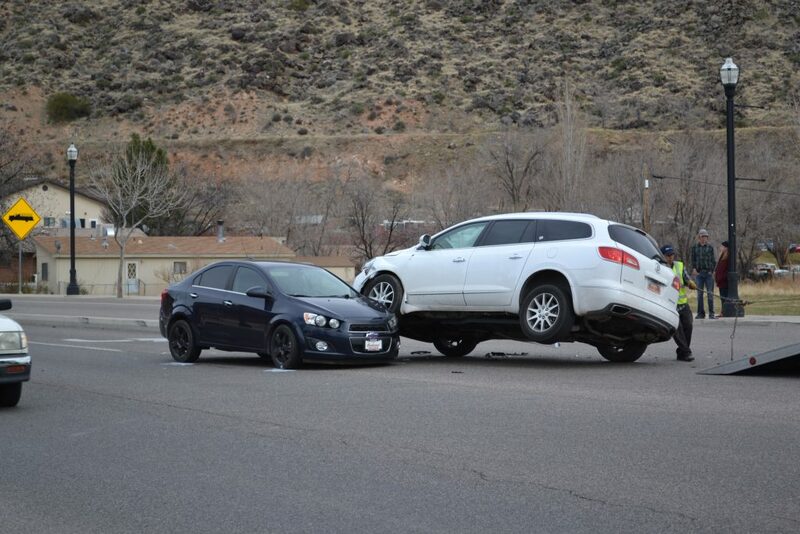 In the aftermath of the crash, the Buick came to rest partly on top of the Chevrolet. 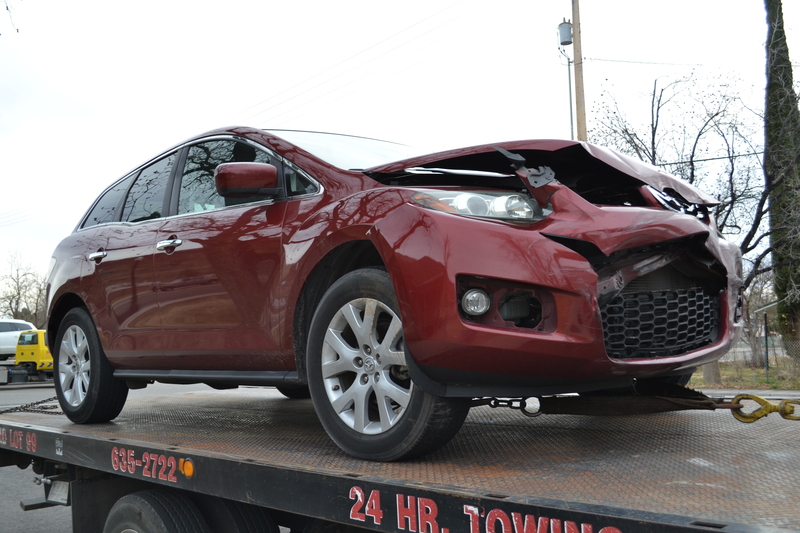 All three vehicles sustained heavy damage and had to be towed away. Eastbound traffic was reduced to one lane around the scene of the crash, causing some slowdown but no major congestion. Crash on SR-9 leads to conflicting statements and 1 question: Was the light yellow or red? The, unlicensed driver is most likely a illegal alien. Why not start publishing names with wrecks? Maybe a little public exposure will help people think while driving. It must be the mating season for those Buick Enclaves. Even trying their wares on little Mazdas. There’s a reason she’s unlicensed, she can’t drive!